Bringing innovation through automation to help small business succeed has been my career goal. Our customers frequently ask – how do I organize my eBay (or coming soon – Amazon) products into my new Bigcommerce shop? What are my choices? Here are our answers with some comments. We have listed these answers below. Answers are sorted from most flexible to the least. Most of all, leave us comments below with your thoughts. Bigcommerce has less options. All products must have a category. Therefore, the eBay listing category is used for that product. Or an eBay Store category, assuming you have an eBay Store. There are no automatic collections on Bigcommerce. While this is a feature that we believe would enhance that platform tremendously, it remains unsupported. It is unknown if Bigcommerce will add this in the future. Seems like they are appealing to a different customer basis. In any event. we hope this is added. Less is not more here. Because of the lack of choices, here is one more. Code could be developed that would map imported products to existing categories. Our customers have not yet chosen this because of the expense. A less expensive alternative would be to import all products into one Category you choose. Maybe then you would then change “Default” to whatever is required. Finally, each Etsy shop comes with ten user-named “Shop Sections” to organize products. 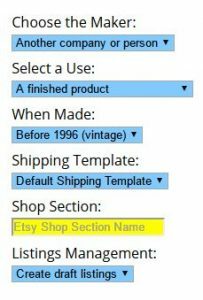 So, you fill out these shop sections in Step 2 of the Etsy Setup process. 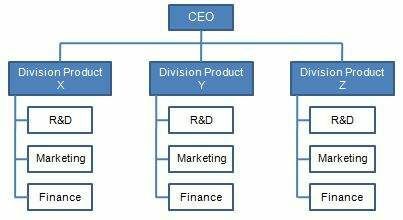 As part of the mapping process, all products in that category are added to the same Section. Change draft products after import that we created. As a result, you can get the organization you need with a bit more work.